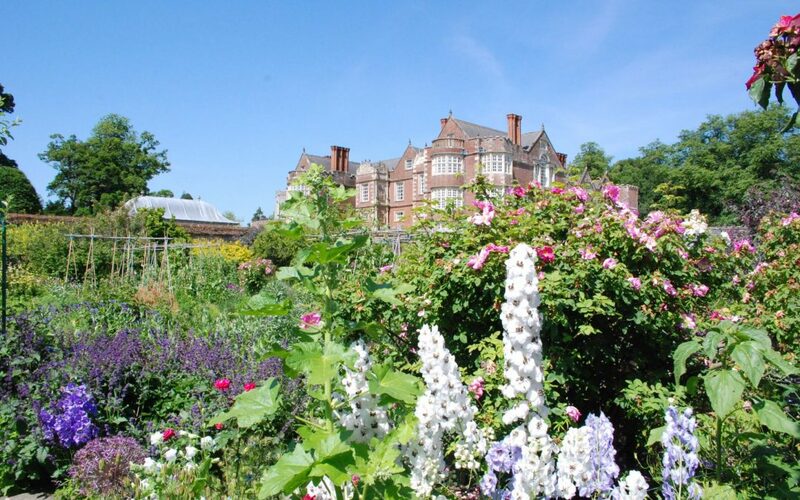 The Burton Agnes Hall Gardeners’ Fair returns for its 25th anniversary year on Saturday 15th and Sunday 16th June. With more than fifty exhibitors coming together to offer a wide range of specialist nurseries and top quality plants, the event is a haven for horticulture enthusiasts. Burton Agnes Hall is an Elizabethan stately home in East Yorkshire, which has been cared for by members of the same family for more than 400 years. Today Simon and Olivia Cunliffe-Lister and their five children live at Burton Agnes and warmly welcome visitors to the house and its gardens. The Gardeners’ Fair is a golden opportunity to look around Burton Agnes Hall and Gardens, with the added bonus of talks and demonstrations given by plant specialists and tours of the award winning walled garden by Head Gardener Jeremy Palmer. The old Elizabethan walled garden at Burton Agnes Hall was redeveloped by Susan Cunliffe-Lister in 1989, and has since become an award-winning wonderland, winning the 2005 HHA Christie’s Garden of the Year award.